This is the neighbor's cat enjoying some umbrella shade in our backyard. He also likes to nap in the princess cabana. He looks so cute under that umbrella! 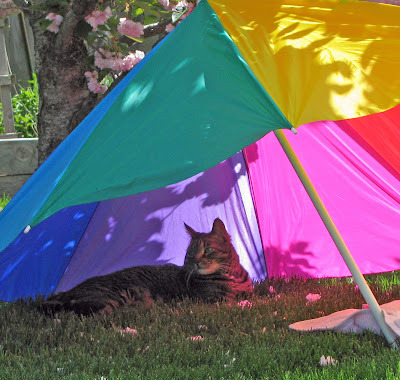 A kitty tent.